Hailed as “Excellent” by U-T San Diego and “an accomplished young foursome with a luscious sound and an experimental bent” (Repeat Performances), the Hausmann Quartet was formed in the summer of 2004 at Lyricafest in New Jersey, and has since become known for its powerful, dynamic performances and commitment to community engagement. Now in its 15th season, the quartet has established itself an integral part of the cultural life of Southern California as faculty Artists-in-Residence at San Diego State University and Ensemble-in-Residence at Mainly Mozart. The Hausmann Quartet has won prizes at the Beverly Hills Auditions, Rotenburg International Chamber Music Competition and the Morrison International Fellowship award as well as being one of only two American quartets chosen to participate in both the Beijing International Quartet Competition and the Banff International Quartet Competition. They enjoy a busy and varied performance schedule of concerts throughout North America and Asia, with recent appearances including Art of Élan, Berkeley Chamber Performances, Noe Valley Chamber Music, Taiwan National University, Mainly Mozart’s Evolution, Rockport Music at Shalin Liu Performance Center, San Francisco Performances, Morrison Series at San Francisco State, Dame Myra Hess Memorial Concerts at the Chicago Cultural Center, Colours of Music in Barrie, Ontario and Sound of Autumn Series in Shijiazhuang, China. With a deep belief in community engagement, the Hausmann Quartet has presented a variety of creative educational outreach programs throughout the United States and developed a strong presence in Southern California, beginning in 2010 with their appointment as the fellowship quartet at La Jolla Music Society’s SummerFest and the Joseph Fisch and Joyce Axelrod Quartet-in-Residence at SDSU. Most recently they have launched and directed a series of programs in the San Diego area with support from the Irvine Foundation, National Endowment for the Arts and ACMP, including the Chamber Music Institute (an immersive chamber music training program for young musicians), the Living Room Concerts and annual Seminar (a coaching and masterclass series for adult amateur chamber musicians) and participatory jam sessions in senior centers and homeless shelters in collaboration with the San Diego Rescue Mission, Resounding Joy and Mainly Mozart. They have partnered with organizations such as Chamber Music Connection, Oakland School for the Arts, La Jolla Music Society, Rockport Music in Massachusetts, International Music Foundation in Chicago, Tuesday Musical Association, and Lyrica Chamber Music in New Jersey, to bring musical programming to populations of all ages. Past activities have included community residencies in Ohio, North Carolina, and Massachusetts, a children’s concert series in Chicago’s inner-city, and Mountain Lakes NJ, as well as a residency at Stanford University’s Educational Program for Gifted Youth Summer Institute. In 2012 the quartet founded the Hausmann Chamber Music Program (HCMP), a semester program and summer festival for students of all ages to learn chamber music, attend performances, and participate in workshops given by the quartet and guest artists. 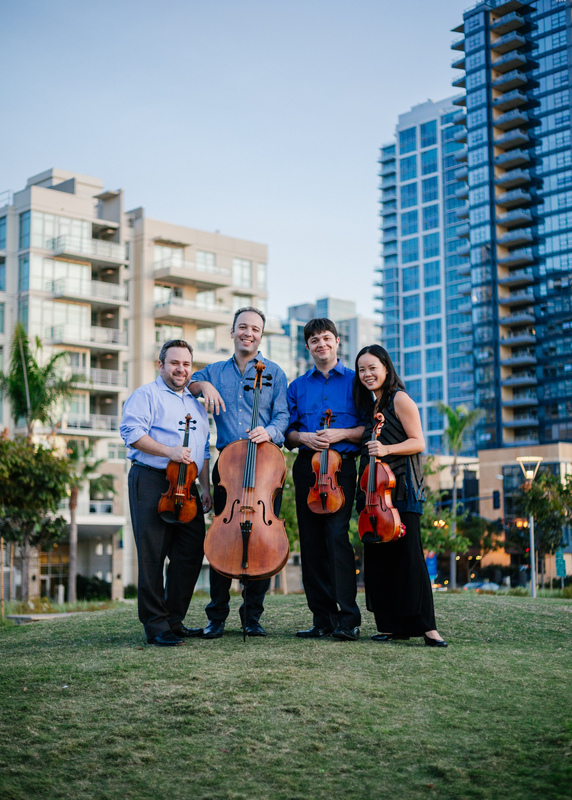 The Hausmann Quartet has become a vibrant member of the San Diego arts community with a dedication to enlivening and enriching the city’s cultural landscape. In addition to the standard quartet literature the Hausmann Quartet enthusiastically champions lesser known gems from composers of the past and present. In 2008 they were awarded the John Ireland Prize at the Rutenberg International Chamber Music Competition for their performance of a John Ireland quartet. As dedicated advocates for new music, the Hausmann Quartet has worked with composers including Garrett Shatzer, Vartan Aghababian, Gabriela Lena Frank, John Corigliano, Joe Waters, Liam Wade and Laura Koplewitz. In addition, they have mentored student composers at the San Francisco School for the Arts, Longy Preparatory School, Kent State University, San Francisco State University, Ohio State University, and San Diego State University. As part of their residency at San Diego State University the quartet has created a quarterly concert series, Converge, which celebrates the intersection of chamber music and scholarly thought across disciplines. Recent collaborations included Professor of Poetry Sandra Alcosser, Iota Eta Pi comedy troupe and Professor of Russian and European Studies Veronica Shapovalov. The quartet has also received acclaim at major music festivals including Mainly Mozart, La Jolla SummerFest, Music@Menlo, Aspen Music Festival, Music Mountain, Great Lakes Chamber Music Festival, and Norfolk Festival. They have been featured on live broadcasts at radio stations and programs such as Performance Today, Aspen Public Radio, WFMT Chicago, WRCJ Detroit, WOSU Columbus, KZSU Stanford, and CBC Radio 2. For works beyond the quartet realm the Hausmann Quartet has been fortunate to collaborate with a variety of artists including the Alexander String Quartet, Borromeo String Quartet, Cecilia String Quartet, pianists James Tocco, Jeremy Denk, and Victor Rosenbaum, violinists Ani Kavafian and Laura Bossert, violists Toby Appel, Paul Neubauer, Cynthia Phelps, and Rivka Golani, cellists Terry King, Gary Hoffman, and Paul Katz and clarinetist Jose Franche-Ballester. Recent collaborations have included performances with pianists Anne-Marie McDermott, Stephen Prutsman, Lydia Artymiw, David Kaplan, Grace Fong, violinist Lin He, and cellist Angela Lee. The members of the Hausmann Quartet have trained through courses and degree programs at institutions including the Longy School of Music, McGill University, San Francisco Conservatory, Kent State University, Eastman School of Music, Juilliard School, Queens College, San Francisco State University, and San Diego State University. They are grateful to list among their many important mentors members of the Alexander, Miami, Alban Berg, Juilliard, Guarneri, Emerson, Tokyo, Cleveland, Orion, Takacs, American, Ying, St. Lawrence, Borromeo, Schoenberg, and Artis Quartets. The members of the Hausmann Quartet are violinists Isaac Allen and Bram Goldstein, violist Angela Choong and cellist Alex Greenbaum. The quartet is named after Robert Hausmann, the eminent 19th century German cellist and founding member of the Joachim Quartet. 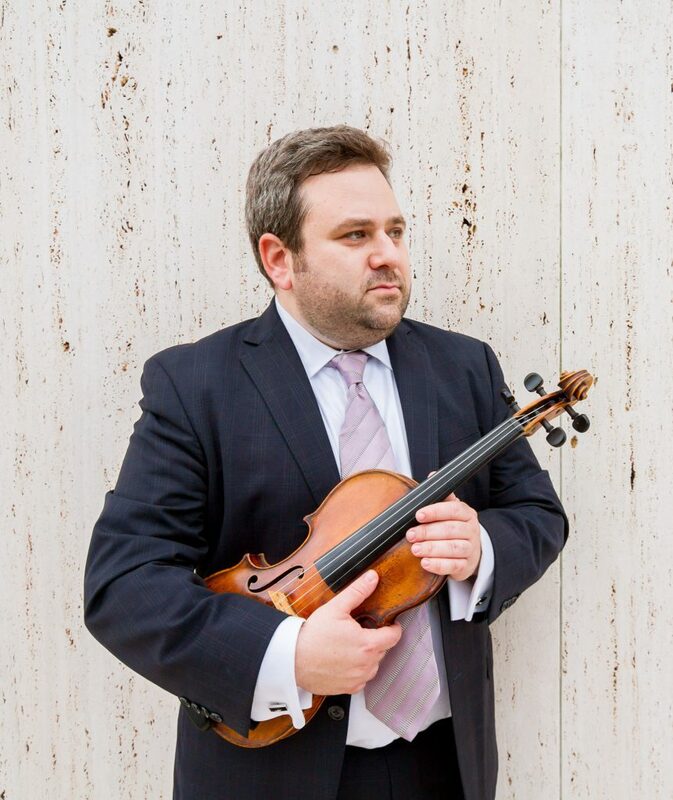 Violinist Isaac Allen attended Manhattan School of Music and received his Undergraduate Diploma from The Longy School of Music, Masters of Music in Chamber Music Performance from Kent State University and the Artist Diploma from San Diego State. He has studied violin with Ivan Chan, Laura Bossert, Terry King, Patinka Kopek and chamber music with Robert Mann, Earl Carlyss, Silvia Rosenberg and members of the Juilliard, Orion, Vermeer, Emerson, Alexander, Miami and Alban Berg String Quartets. He has performed in Canada, the U.S., China and Taiwan. With a strong dedication to teaching, Mr. Allen has given master classes throughout the United States and served as a violin teacher at various schools and universities, including San Francisco State and Brookline Music School. Festival appearances have included, La Jolla SummerFest, Music@Menlo, Aspen, and the Great Lakes Chamber Music Festival. 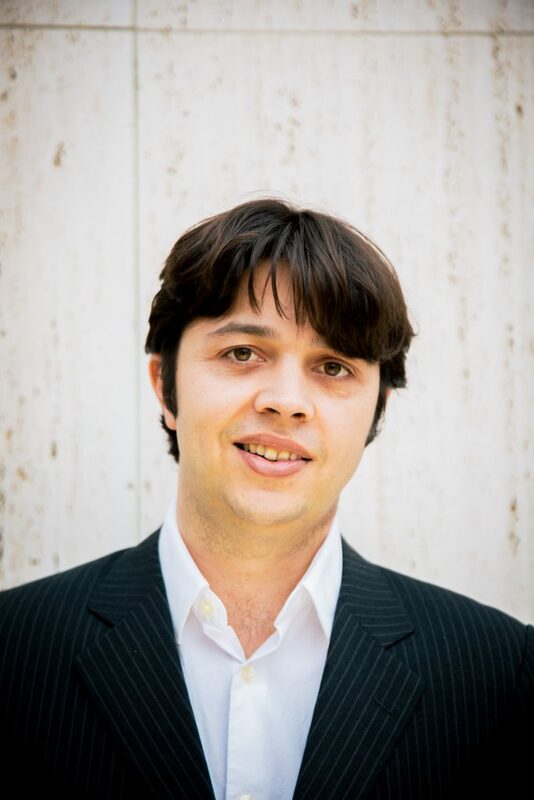 As a chamber musician, he has performed with Paul Neubauer, Toby Appel, Steven Ansel, Ronald Thomas, Paul Katz and the Alexander String Quartet. Violist Angela Choong, a native of Columbus, Ohio, began her musical studies at the age of four and has since performed as a violinist and violist throughout the United States, Canada, Europe, and Asia. A passionate chamber musician, she joined the Hausmann Quartet in 2008, and has collaborated with distinguished artists such as cellist Gary Hoffman, violists Toby Appel, Cynthia Phelps, and Paul Neubauer, pianists James Tocco and Jeremy Denk, and the Alexander String Quartet. Recent engagements include Rockport Music, La Jolla SummerFest, San Francisco Performances, Aspen Music Festival, Great Lakes Chamber Music Festival, Music@Menlo, Lyricafest, and Blossom Music Festival. 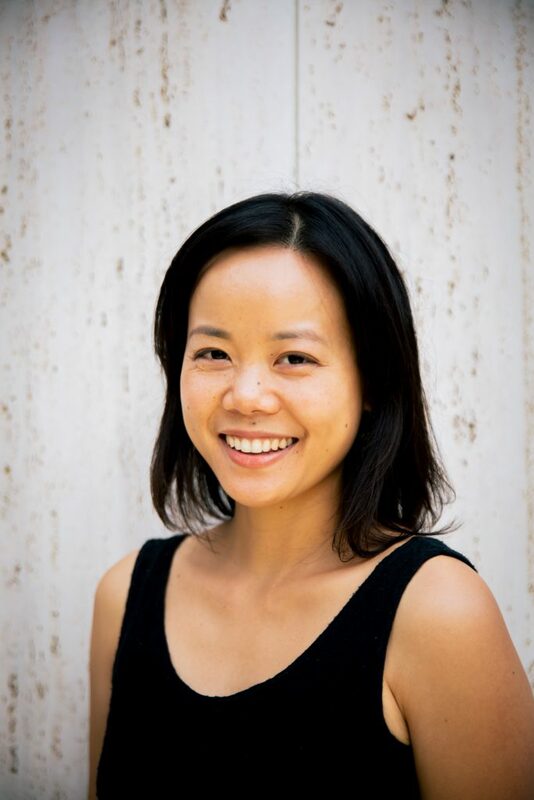 Ms. Choong holds advanced degrees in violin/viola performance and chamber music from The Ohio State University, Florida State University, and Kent State University and received grants to participate in international master classes at the University of Paris–‐‑Sorbonne, France. Her primary mentors were Michael Davis, Charles Castleman, Laura Bossert, and Beth Newdome. She has also studied viola with James Dunham, Jeffrey Irvine, and Yu Jin, andz chamber music with the Miami, Emerson, Juilliard, Takacs, and Alexander String Quartets. She was a teaching assistant to violinist Beth Newdome at Florida State University, and to the Alexander String Quartet at San Francisco State University. Ms. Choong plays a d’amore style viola made by Hiroshi Iizuka in Philadelphia in 2006. Born in New York, cellist Alex Greenbaum enjoys a diverse and adventurous musical life. As a long-time member of The Knights, he has performed and recorded throughout the U.S. and Europe and collaborated with luminaries such as Yo-Yo Ma, Dawn Upshaw, Vera Beths and Christina Courtin. Highlights of recent seasons include festival visits to Caramoor, Dresden, Ojai, Ravinia, Tanglewood, and this year to Salzburg and Vienna. 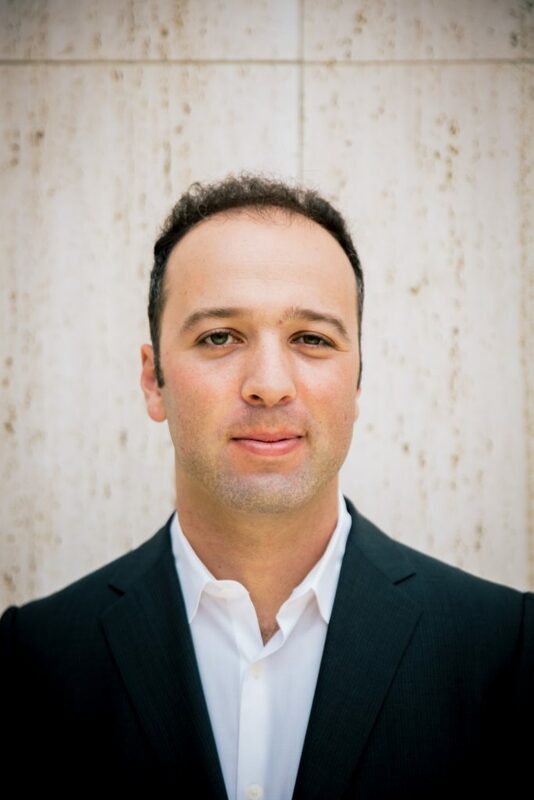 An avid chamber musician and advocate for the music of our time, Alex’s affiliations include San Diego New Music and the Tarab Cello Ensemble, and he often appears on San Diego’s Art of Élan series. Equally at home in the early music world, Alex is a founding member of the San Diego Baroque Soloists and has appeared with Bach Collegium San Diego. He has performed often with the FLUX Quartet, and was a member of the Orquesta Sinfonica Sinaloa de las Artes in Sinaloa, Mexico. His varied interests have led to collaborations with dance companies, studies of baroque cello, recordings for film, television and commercials, and performances throughout Mexico. He holds degrees from the Eastman School of Music, Queens College and Juilliard Pre-College, and his teachers have included Steven Doane, Marcy Rosen, Ross Harbaugh, Joseph Elworthy and Andre Emelianoff. Alex plays a cello crafted by Michele Ashley in 2006. He lives in North Park.